Computer science software for k12 and ks3 computing curriculum.. Brings the inside of a network to life. How a Network Works is an illustrated guide to the world of networks. 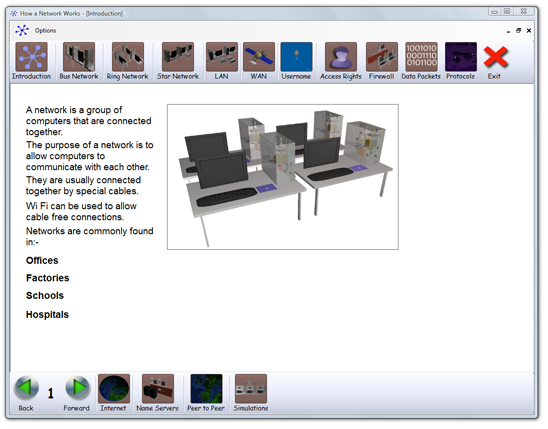 This program is designed for students who want to know the basics of how networks work. 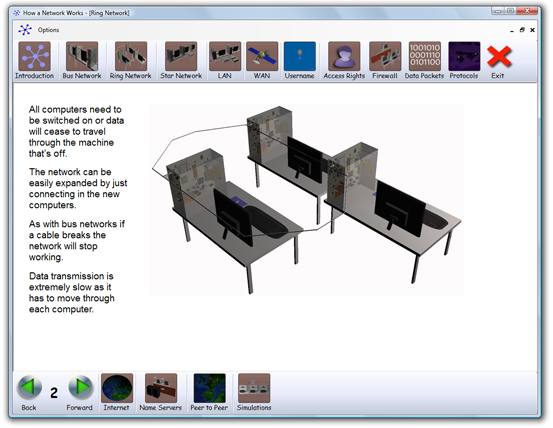 How a Network Works explores the underlying concepts of how networks function. Introduces the three main network types, star networks, bus networks and ring networks. 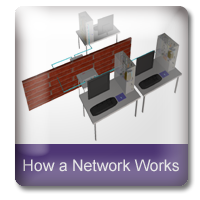 Describes the differences between local area networks (LAN) and wide area networks (WAN). Covers network security with user names and passwords. The network firewall is covered. Describes data packets and ports. The TCP/IP protocols are detailed. Covers name server and peer to peer networks. 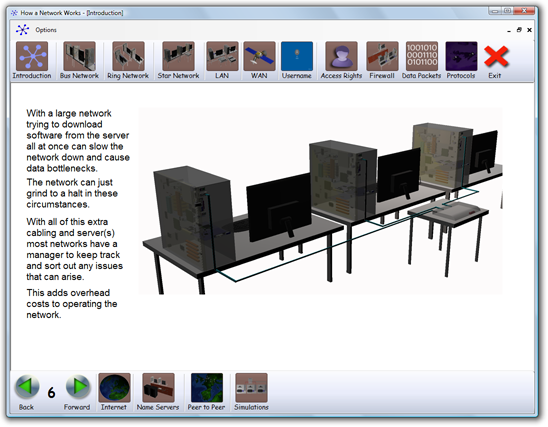 This full-colour, fully illustrated program to the world of networks includes 13 tutorials and is Ideal for Computing KS 2 & 3 and Computer Science K12.